We all need to be clean, right? Yes, but we also need to know what we are putting on our bodies when we do that. Sulfates strip your hair and skin of moisture and then you end up needing extra products. 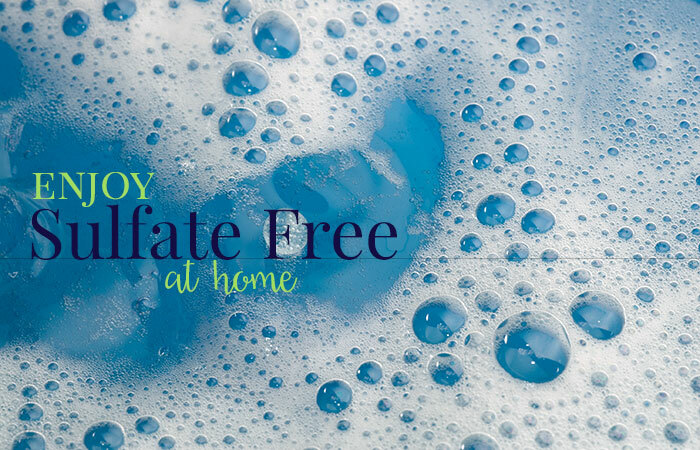 I am passionate about getting rid of chemicals in my home and I know that we can all Enjoy Sulfate Free lives with fewer health issues. Sulfates and other additives are used in beauty products to help keep them sudsy, but they also deprive your hair and skin of its healthy oil, leaving it dry, your hair brittle, and difficult to manage. While it is true that sulfates are the cheapest way to get a large amount of lather, it is totally unnecessary to actually clean bodily surfaces. This is a common misconception – we are so accustomed to needing soaps suds to actually clean ourselves. At a concentration of 15 percent with prolonged exposure, harmful effects on laboratory rats included skin irritation, depression, labored breathing, diarrhea and even death.